In protest against the proposed SOPA(Stop Online Piracy Act) and PIPA(Protect IP Act), Wikipedia.org, which is accessed by millions of people daily will black out in less than 2 hours on Wednesday, 18th January 2012. ٌRecently there has been much furor and cry over the proposed Acts in the US and around the world. If these legislations are passed, it would seriously damage the free and open Internet. These Acts would allow the US government to shut down websites without seeking any legal permission. Recently a lot of tech companies such as Google, Yahoo, Twitter and Facebook have spoken publicly opposing the proposed law. 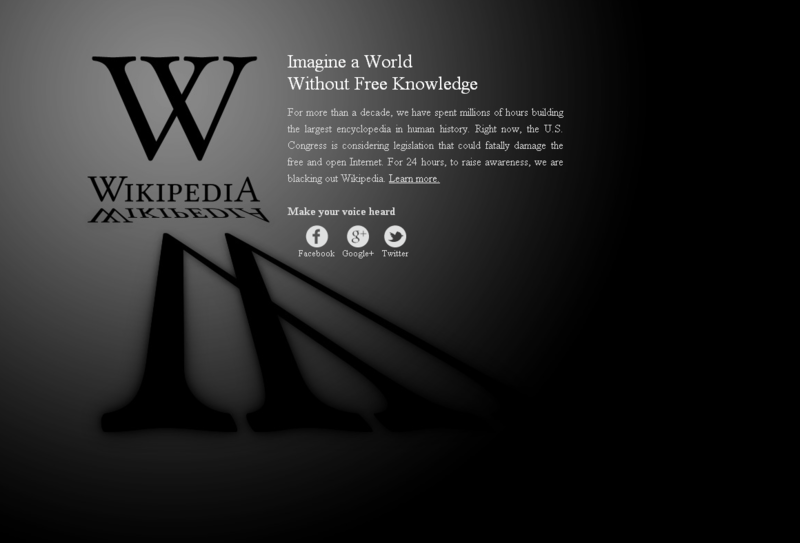 The decision to shut down Wikipedia for a day was taken by its more than 1,000 editors.